Hello fellow anglers, I hope Santa was good to you. We are coming up with in a few days of the Topaz opener, which is January 1,2019. The water level is coming up, but still down from last years opener. A couple new things this year. First and most important, Where else can you get paid to go fishing. The Topaz Lodge annual fishing derby will officially start at 6:15 AM. 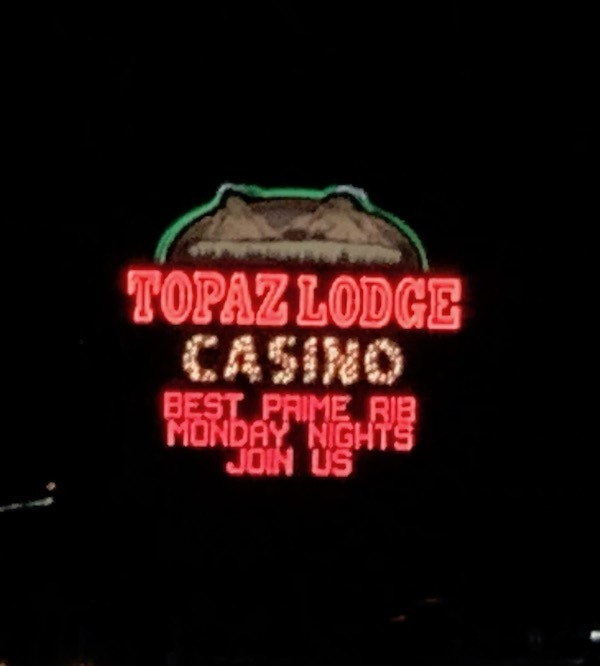 Any Topaz Lodge tagged trout will be worth $100 cash instantly plus $10 free slot play and 10 drawing tickets. All trout weighing 2 pounds and over will get $5 free slot play and 5 drawing tickets. Each week there will be two angler winners boards in the general store. One will have the weekly winners, 1st place is $25 and 2nd place will get $10 in free slot play. The other board will hold the names of the anglers with the largest trout weighed in to that day. At the end of the derby on April 14th, $1000 will go to the top 5 anglers. And there will also be a drawing for all those earned tickets to get you a chance to win a ton of prizes and $500. You must be 21 years of age to enter, entry is free, all you have to do is be a member of the Topaz Lodge and Casino. Which is free to join. Last year Dustin Parker from Gardnerville NV weighed in the largest trout at 9.04 lbs. I am here to tell you, I caught and released a trout just large or maybe bigger. This year I will not be surprised to see a few weighed in over 10 lbs. Second on the list is The Douglas County Park boat ramp does not accept cash for camping or launching. They have removed the iron ranger and replaced it with a kiosk to accept payment for day use and boat launch. For those that frequent the park and day use. You can obtain an annual pass from the Douglas County Parks Department on Watterloo lane in Gardnerville NV. There is a QR code you can scan and download on your cell phone which is available at the entrance or on their website. For those of you that will fish from shore on the Northwest end of the lake, it seems that someone has removed the signs that said, no vehicles are allowed on the shore. That rule will be enforced with or without signs. You will have to park on the road and carry your gear down to the shore to fish. It was apparent that too many people abused the area by trespassing on private property and leaving trash to waste products. Too bad the many have to suffer from the actions of a few. That is what happens when we don't leave or lakes and streams as clean as when we arrived. Best Action is Usually within 10 to 15 Feet From Shore. Topaz Lake: Topaz Lodge Fishing Derby 2019 Info.